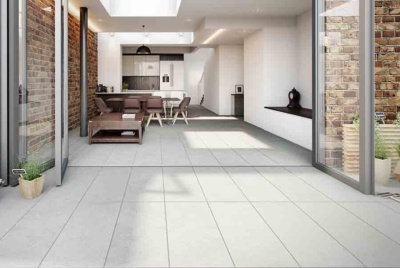 Iguazu is one of the top selling indoor-outdoor porcelain tile ranges. 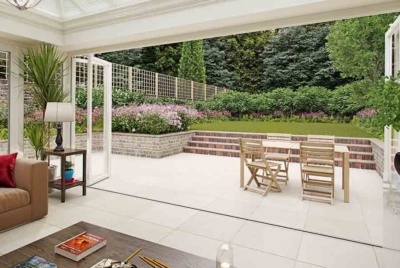 The porcelain paving slabs have a realistic riven surface designed to look like natural stone. 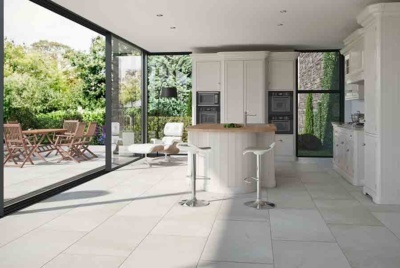 Unlike natural stone however, the tiles will not need specialist cleaning or sealing products and will look the same year after year as they are fade and frost proof. Iguazu is available in four stunning shades; Dark, Ivory, Grey and Silver. Originally only available in the popular 900x450mm size, a new large format 900x900mm size has been added in each colour. 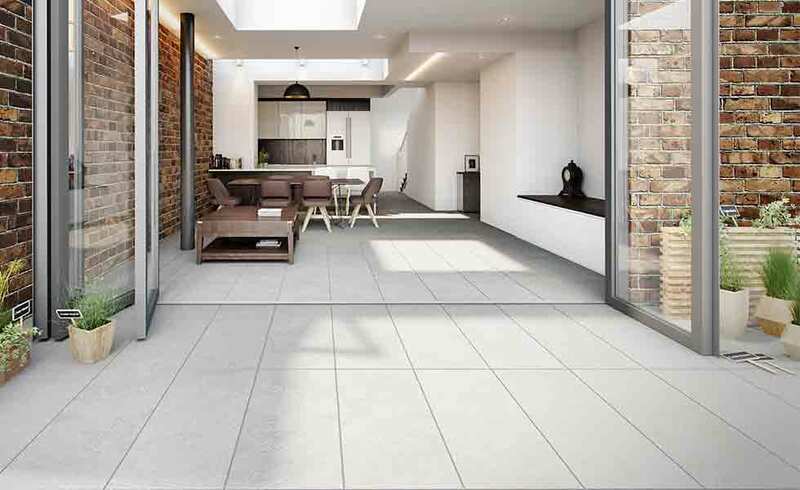 The external tiles are slip resistant, making them perfect a range of outdoor uses including swimming pool surrounds, patios, terraces and balconies.